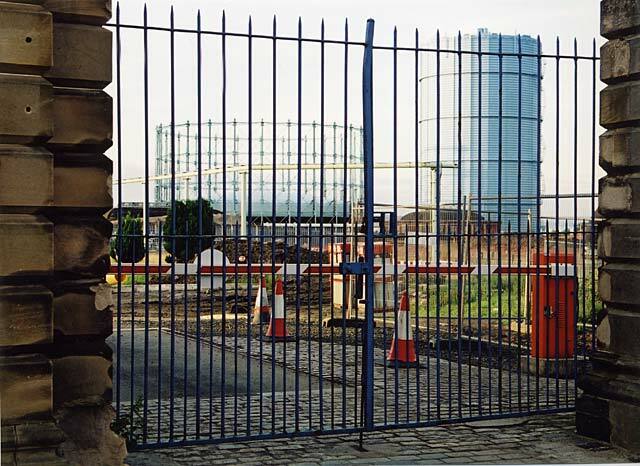 Edinburgh Waterfront was until recently an area dominated by Granton Gas Works, small industries, wasteland. Granton Harbour forms the north eastern part of the Waterfront. The scene here looks quiet and deserted compared to earlier years. Click here to see another view over wasteland from the same point, this time looking to the north-west.